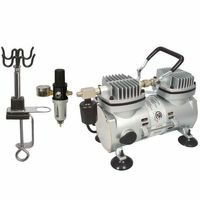 Powerful, small airbrush compressor for professionals especially for professionals with several pistols, or larger models. 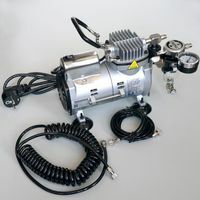 Especially for professionals with multiple guns, or larger models, we recommend the AC-500 compressor. 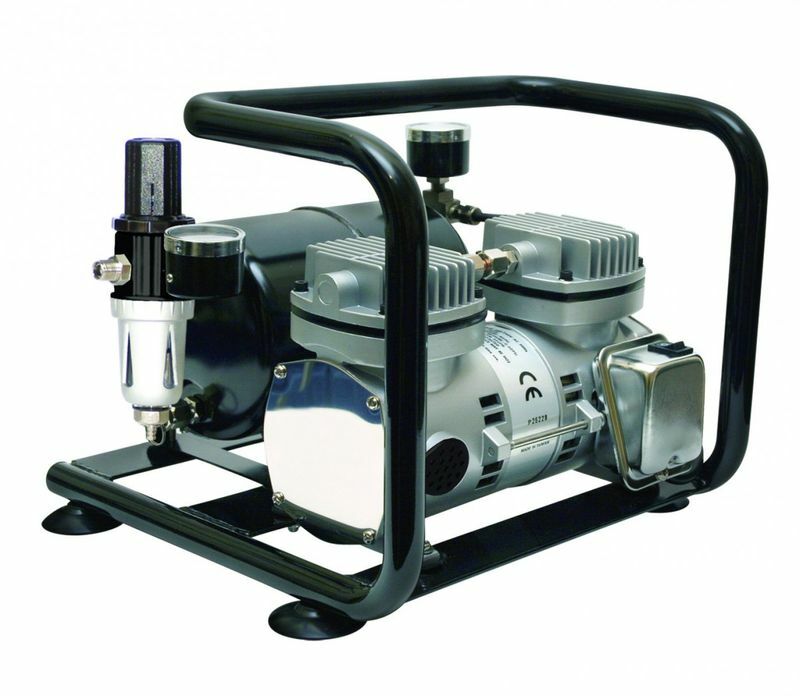 It is an oil-free mid-range piston diaphragm compressor. 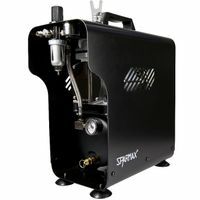 The automatic turns on the compressor when air is needed. Since the compressor contains no oil, the transport in bags and suitcases when traveling is also unproblematic. The carrying handle guarantees secure transport and good handling. 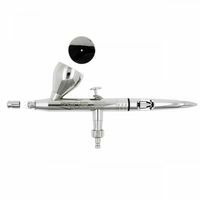 The compressor of the brand Sparmax brings enough air for 3 airbrushes to 0.4mm nozzle, or an airbrush for large areas, such as the T10HS. 1x fabric hose (2 X 1/8 "IG), pressure reducer, pressure gauge, water separator and with quick coupling 2,7mm for free!